On Tuesday, June 18, the full Senate began debate on a common sense immigration reform bill that will significantly strengthen America’s long-term economic competitiveness and entrepreneurial edge. I was pleased to join President Obama and a broad coalition of leaders from the business, labor, law enforcement and faith communities to pledge my support. As an entrepreneur and investor, I have seeing first-hand the effects that outdated immigration policy has on our nation’s economic competitiveness. Too often we bring the best and brightest minds in the world to study at our universities only to kick them out upon graduating. Instead of harnessing their talents we export them, with no return on investment. Such short-sighted policies serve no purpose – they are bad for America’s businesses, bad for workers and they are not in-keeping with our values as a nation founded and built by immigrants. I agree with the President and the scores of Democrats and Republicans that believe it is time for Congress to do right by their constituents and pass common sense immigration reform. I often tell people that immigration is not merely a problem that needs solving, it’s an opportunity that needs seizing. President Obama reminded us of this on Tuesday when he noted that one in four of America’s new small business owners were immigrants. Other statistics show that immigrants are almost twice as likely to start new companies – this is particularly important given that in the past three decades startups less than five years old created almost 40 million American jobs – all the net-jobs created during that period. As Inoted in the testimony I gave to the Senate Judiciary Committee in February, the evidence on this overwhelmingly supports the conclusion that high-skilled immigrants have always been job creators, not job takers. I am convinced that if America is to remain the world’s hub of innovation and breakthrough technology, we need an immigration system that meets the demands of the 21st Century. Every day the world grows more competitive and we risk falling behind. That is a fate we can avoid, but we need to act now. Fortunately, we are the closest we’ve been in many years to righting the wrongs of our broken immigration system. I applaud the Republicans and Democrats working together in good faith to push this bill through the legislative process. I know we can make this happen because I’ve seeing it happen before: just last year – an election year no less – both parties came together to pass the JOBS Act easing onerous regulations on startups and popular crowdfunding sources like Kickstarter. In short, the stakes are too high and the consequences too real not to be involved. That is why the tech community has galvanized supporters through The March for Innovation, Fwd.us and Keep Us Here campaigns. And it is why a unique coalition of faith, law enforcement and business leaders joined together to form “Bibles, Badges and Business for Immigration Reform” (BBB), proving that on issues like immigration reform we can transcend longstanding political division for the common good. I encourage you to take up the fight and lend your voice to the thousands that are visiting, calling, emailing and tweeting their Members of Congress and urging them to work together and pass this bill. 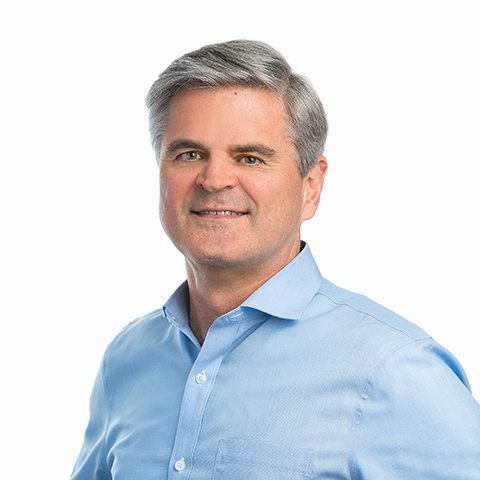 Steve Case is the Chairman and CEO of Revolution and one of America's best-known and most accomplished entrepreneurs. He is also the author of the New York Times bestselling book, The Third Wave: An Entrepreneur’s Vision of the Future.